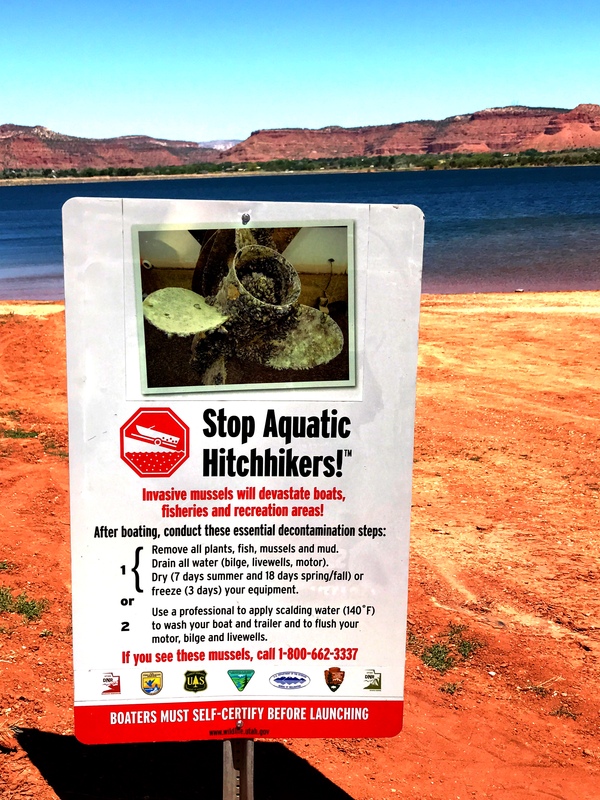 If your boat has been on quagga mussel infested water (Lake Powell, Deer Creek, out of state) within the last 30 days and you want to launch on Jackson Flat Reservoir, please call our office at 435-644-3997 or 801-669-0573 for a brief over-the-phone quagga mussel inspection. If the reservoir is infested, the quagga mussel will ruin the ecosystem in the reservoir affecting the fishery and the recreation areas will be ruined. Additionally, the pumps and infrastructure will be completely destroyed. 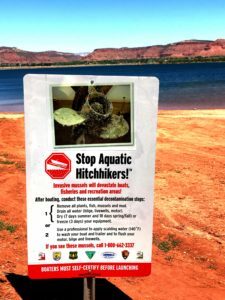 Please do your part to keep Jackson Flat Reservoir mussel free. After leaving a body of water: clean, drain and dry your watercraft. If you have been in infested waters, please get a decon on your watercraft or wait the appropriate dry time. For questions or concerns, please contact KCWCD. CLICK HERE to download an inspection or decontamination receipt and fill out before launching on Jackson Flat Reservoir. These receipts are also found in bins next to quagga mussel signage around the reservoir. Keep receipts visible on dash of vehicle.